I had to sort my tobacco habit, the Camel straights (non-filter) I’d brought from the States, wouldn’t last long. I tried the Charminar non-filter variety, a sort of Indian Pall Mall, but they weren’t really too much to my liking. Ok, but not great. 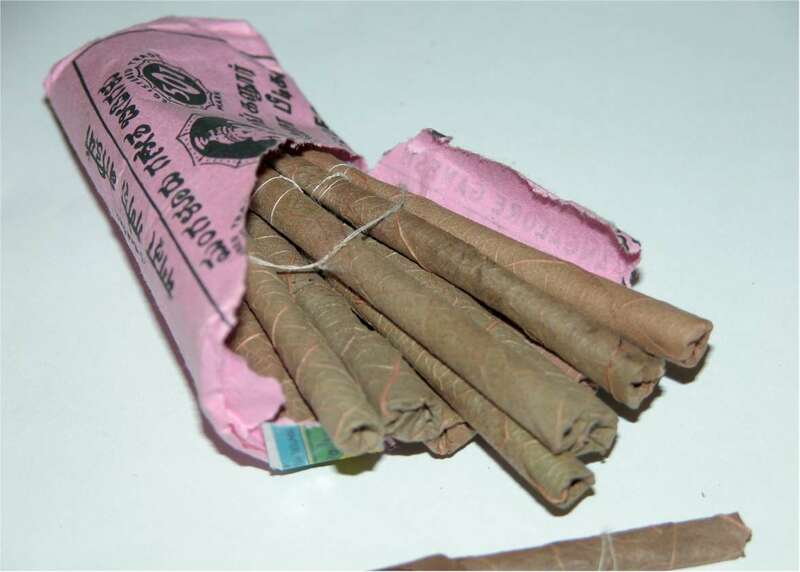 Then, the Tibetan, a smoker like myself, turned me on to Ganesh beedis. Whatever the leaf was the tobacco was rolled in, didn’t matter, because they did not smell like a burning field. And they were STRONG. A cheap and effective substitute for my Camel habit. And beedis could be bought anywhere. Meanwhile, the manic multi-millionaire widow acquainted with Imelda Marcos, and the English opium freak whose mother was on a first name basis with Indira Gandhi, eyed each other like incompatible species of snake. This had interesting implications as, before our journey was to be concluded, she would run out of lithium and he would exhaust his opium. Old Babette, Old Babette being the alias I’ll assign to the rich widow, must’ve been a hot number into her forties, but time had taken its toll. Now in her sixties, she was no longer a beautiful babe. But, apparently no one had told her this and she clearly had a magic mirror that earned its keep by lying to her. More on that later. Meanwhile, the Englishman Jasper® when he wasn’t smoking dope in the presence of, and underwritten by, Bummer John, initially kept himself closed off in a clique made up of himself, the sisters and the Bihari musician Socket™ who was actually called that, and I’m not certain Socket can be considered a real name. If Jasper® could have lifted his leg, canine style, wherever the sisters were, I think he’d have done it. Sensible Sue, the sobriquet I’ll assign to Old Babette’s daughter, Old Babette & the Montana dyke, made up another clique. Bummer John, when Jasper® wasn’t smoking his dope with/for him, spent a lot of time alone, looking alternatively; dazed, stressed, confused or simply bummed out, except for those times the sisters would break out of the one clique to hang out in Old Babette’s clique; in that case Jasper® & Socket™ would hook up with Bummer John, to smoke his dope. Meantime, the Tibetan and myself were developing a close bond. This was the initial social configuration, as we set off for the hill stations of northern India, with a brand new, rented bus, camping gear, hired driver & cook. Over the span of thirty five years I’ve known the sisters, and I’d only known them for five years when this trip was undertaken, I’ve sorted a few things out. These girls are most definitely NOT what would be considered ‘straight’, no matter they have a long history of being on the up & up, in the business world. In the paradox that is life, they’ve also been on wrong side of the law too many times to count, and yet they cannot be considered criminal. What these girls actually are, is called OUTLAWS. Or perhaps better said, radical-left-libertarians so smooth, if captured in a ‘no-man’s-land’ in a war zone, they could talk their way out of the custody of die-hard fascists. If the one sister is an angel, the other is the devil; good cop, bad cop, combined, if they’d hustled you, you loved them for the experience. And, after these many years, I confess, this is exactly what happened on this trip. Looking back, it worked like this: The sisters had sold the trip they wanted to take themselves. Their indigent friends Jasper® & Socket™ got a free ride. The Tibetan, fluent in English & Hindi, very ably earned his keep as a translator and guide, a very good choice. This fine, ethical, and knowledgeable personality totally offset Jasper® & Socket™ the entertainment clowns in the tradition of court jesters; turned into dope addicted yogi and his boon companion – a village musician long subverted to western counter-culture. Taken altogether, the entire madcap scene was inclined to balance; if Old Babette was legitimately insane (she was), you only had to consider Jasper® to put her in perspective & vice-versa. As they say in India, an ‘auspicious’ beginning.